My favorite scenes from Pixar’s Wall-E movie were the one including M-O, the tiny cleaning robot. It’s probably the same reason why the Vector autonomous sidekick robot is probably the cutest robot sidekick I’ve ever seen. It’s designed to be full of character which is what you want as your house companion. Don’t be mistaken by its looks, this small companion robot houses some advanced tech by Anki. What is Vector by Anki? 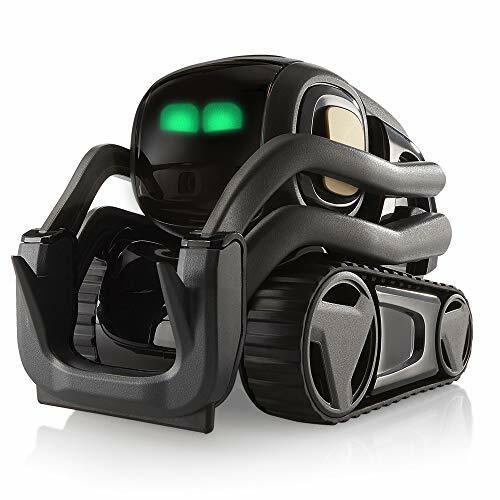 You might know Anki from Cozmo, a similar looking AI-powered robot for kids. Vector is the latest and greatest creation from Anki. Vector is an autonomous robot that knows how to get around your house by itself. He can recognize persons and responses to touch and sounds. You can ask Vector questions and he’ll connect to the internet to answer them for you. And don’t worry about your robot running out of juice as he automatically rolls back to his charging dock once he’s running low on battery. You can add Alexa compatibility to further expand Vector’s capabilities. And let’s be honest, it’s much more fun adding stuff to your shopping list with a cute little robot than a generic, cold device. Yes, Vector does fistbumps as well! Where can I get Vector the AI-robot? You can pre-order Vector on Amazon. First units are set to ship end of December / beginning of January.